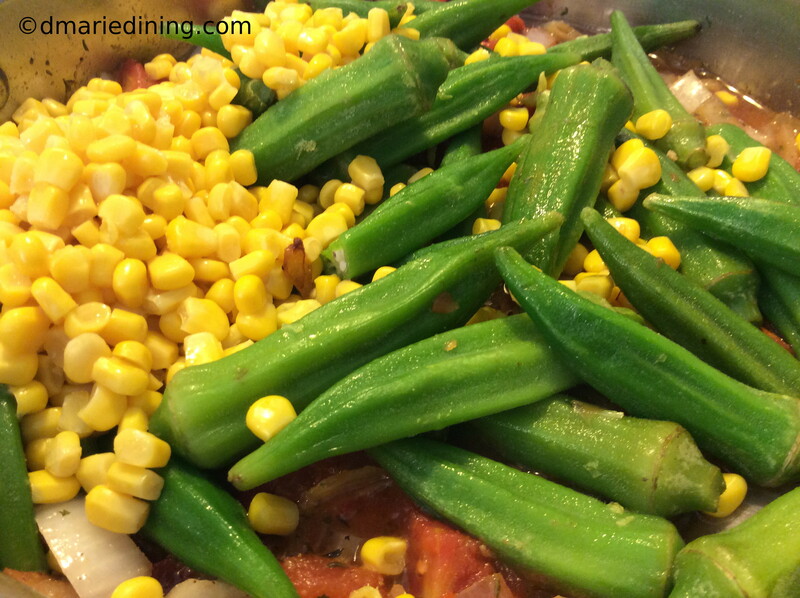 If you find fresh okra at your local grocer, use that instead of frozen. 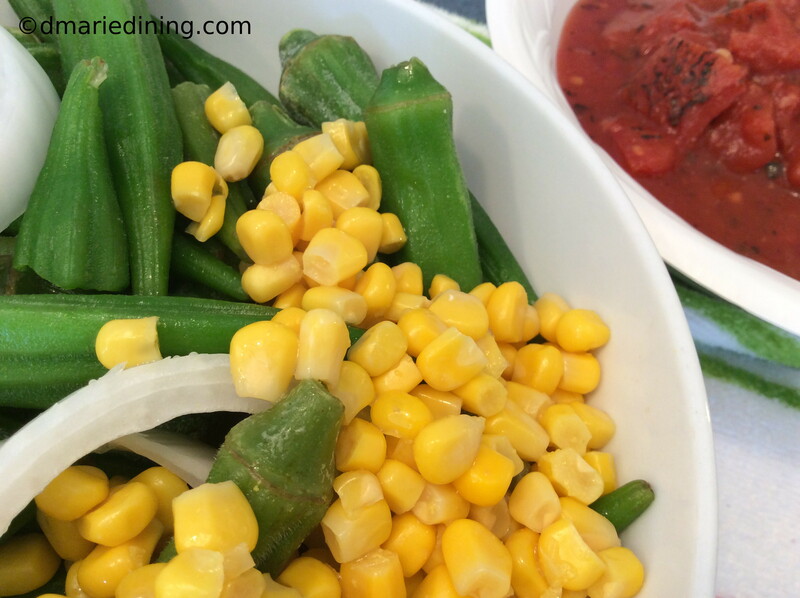 Frozen okra is not bad but as with most recipes fresh is better. 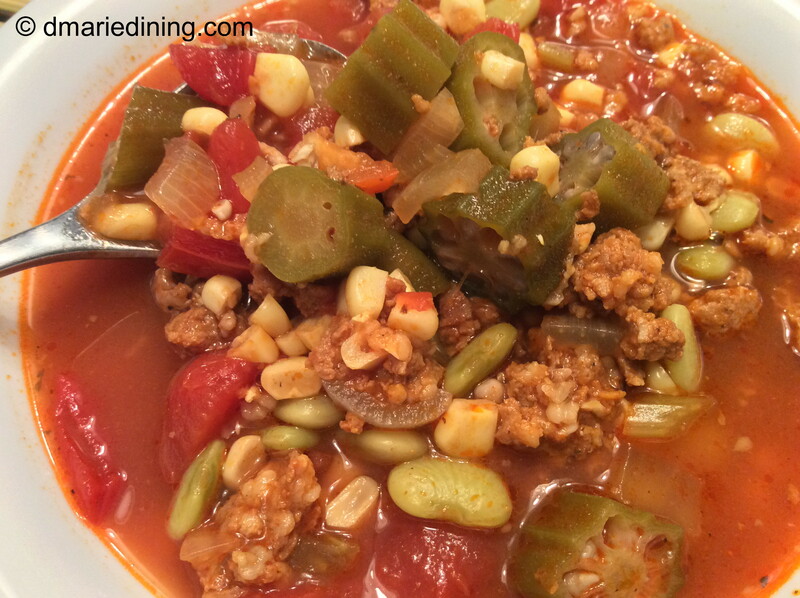 Okra and tomatoes is one of those southern dishes that goes great with all types of meat entrees. Being a truly southern gal my mom use to make okra and tomatoes with fried fish and hush puppies. I also like pairing okra and tomatoes with fried fish. I just have not perfected making hush puppies . At least not yet. For those folks that don’t know much about cooking okra, let me give you a tip. Do not cut off the top of the okra unless you want it to be slimy in your dish. The only time I cut okra is when I am cooking fried okra then it does not get slimy. My cousin Bernice taught me that. 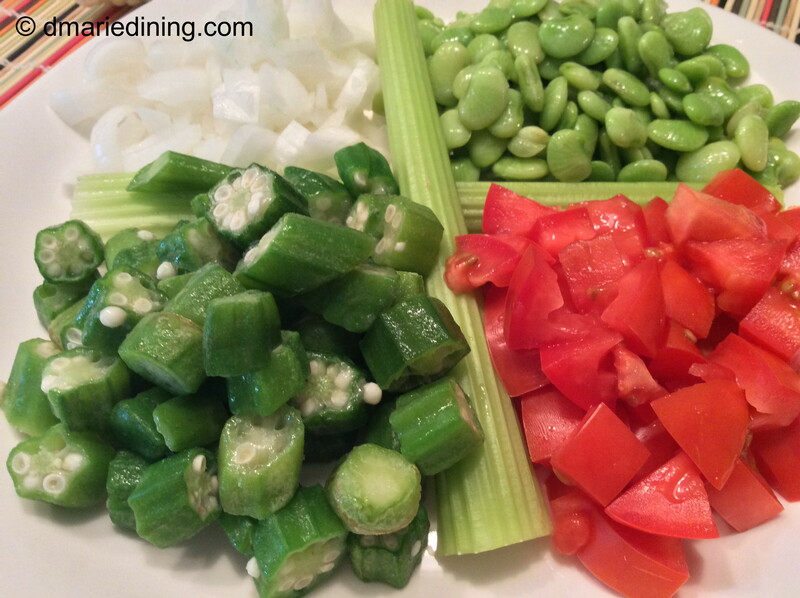 Not everybody likes the taste of okra which is why I usually prepare it as a separate vegetable side dish. Of course when you are making okra and tomatoes the okra is the star of the dish. 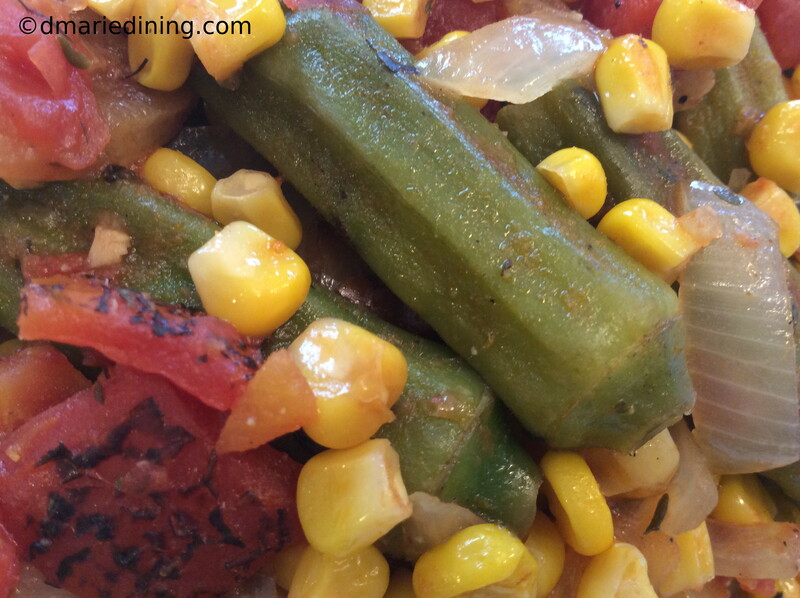 If you have not tried okra or thought you did not like okra, give it another chance. 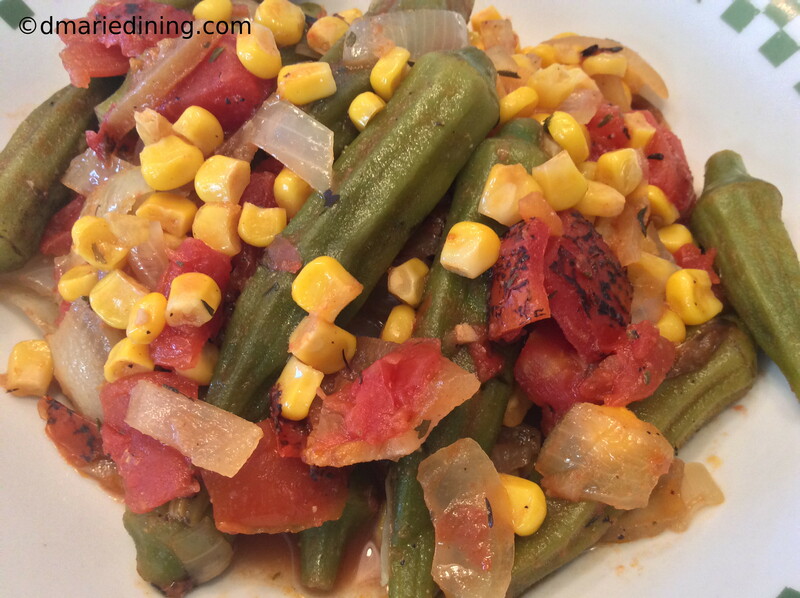 Both the tomatoes and okra compliment each other with a wonderful flavor. 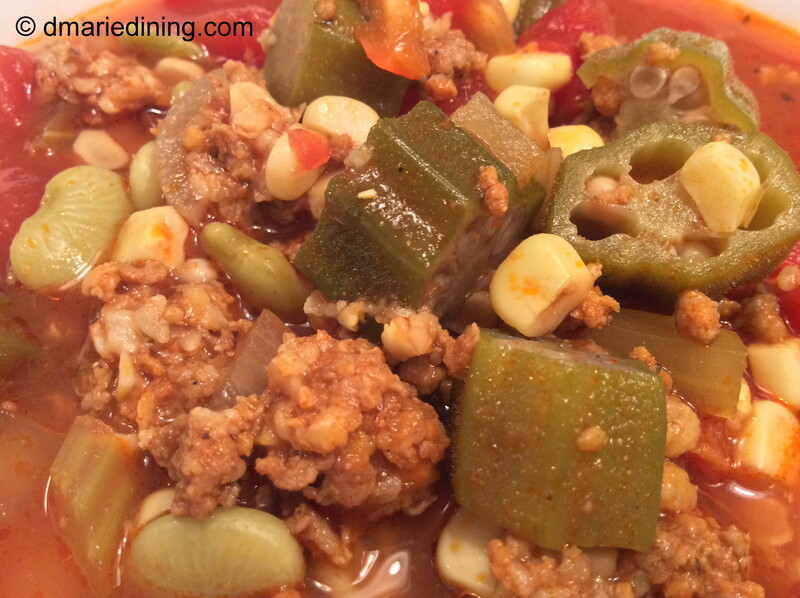 To my southern folks I say try my version because I know you already know how good okra can be. Place olive oil and bacon in a large frying pan over medium high heat. Cook until bacon becomes crisp. 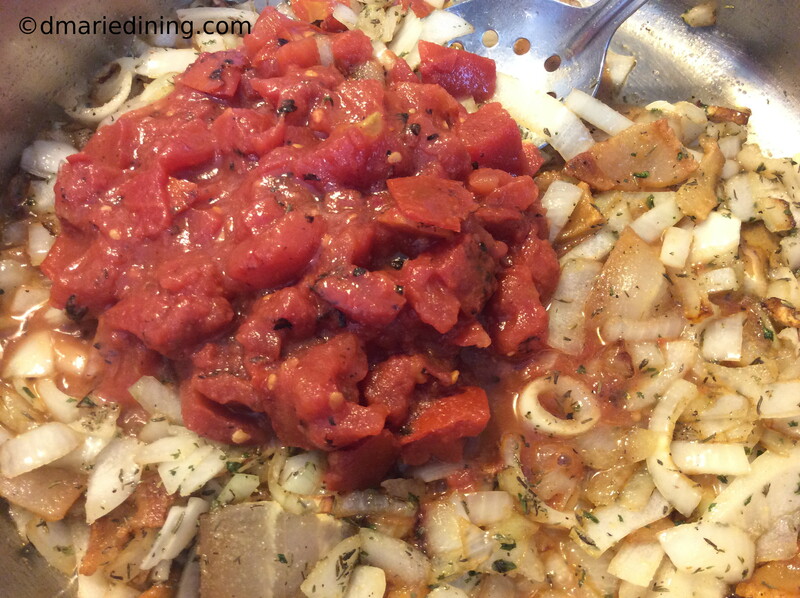 Reduce heat to medium then add onions, peppers, celery, worcestershire sauce and seasonings to the pan. Stir and cook until vegetables soften. 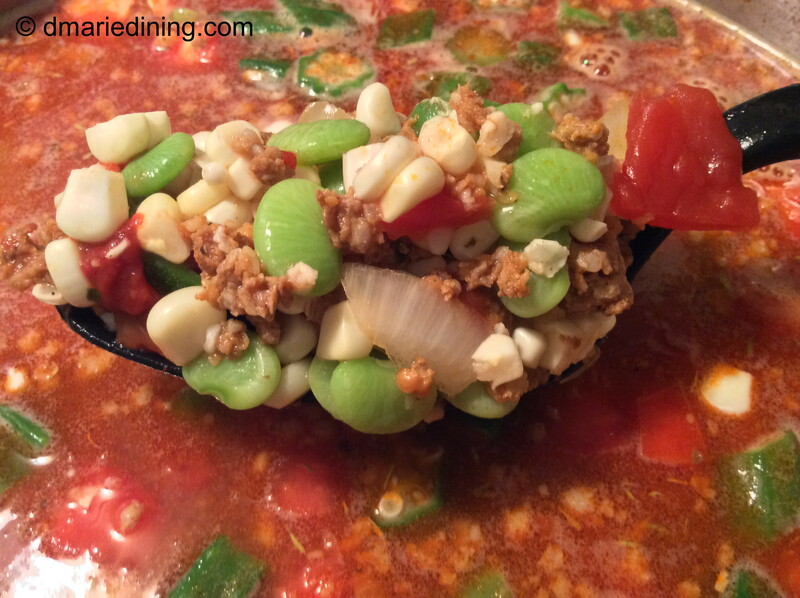 Add tomatoes, okra, corn and broth. Let simmer for 20 25 minutes. Serve over rice if desired.